It’s all about currency crosses on today’s canvas, as we play around with forex trade opportunities on EUR/GBP and CHF/JPY. Get ’em while they’re hot! 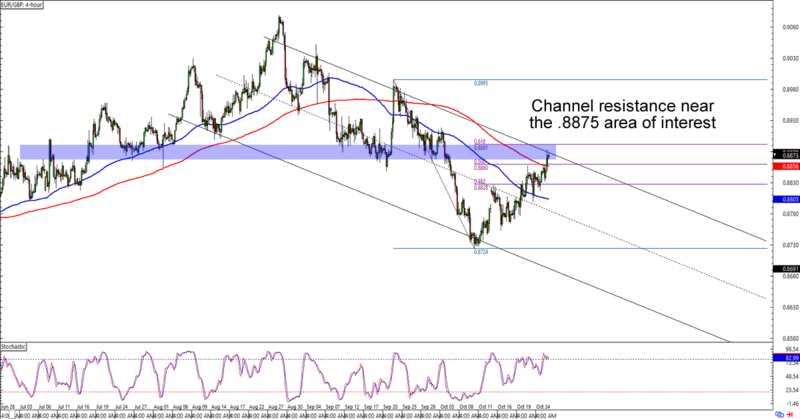 EUR/GBP is about to hit the .8900 major psychological handle, which is right around a 61.8% Fib retracement and descending channel resistance on the 4-hour time frame. Think the euro is about to go down against the pound? Shorting at the earliest signs of bearish momentum and aiming for the .8725 previous lows is a good idea if you’re planning to take advantage of the downtrend. If you’re not feelin’ the love for the pound, though, then you could also wait for EUR/GBP to break above the resistance levels we’re eyeing and watch for an upside breakout that would take the euro to the .9000 areas instead. Y’all watch this one closely, aight? Here’s an easy one for my trend-trading homies out there! CHF/JPY is trading around 112.50, which is right smack at a rising trend line support on the daily chart. What makes the setup more interesting is that the 100 SMA has also just crossed above the 200 SMA on the chart. Buying at current levels could get you a good reward-to-risk ratio especially if the franc ends up poppin’ back up to its 117.50 previous highs. What do you think? 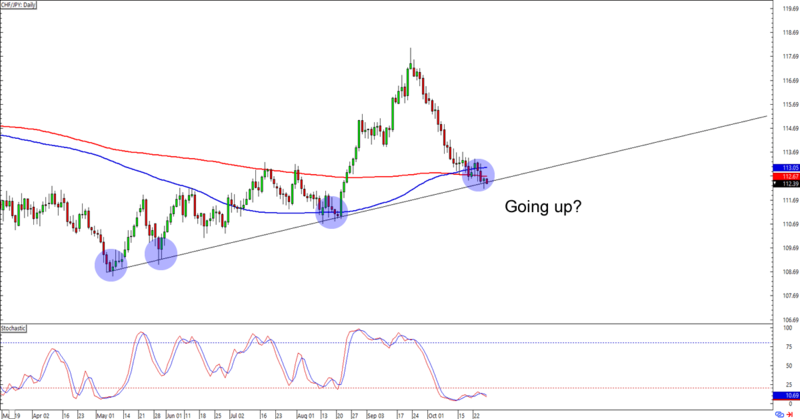 Will CHF/JPY extend its uptrend? Or will yen bulls attack and force a downside breakout in the next trading sessions?